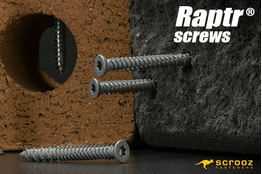 Raptr Plus screws are coated with ScrewArmour and are our external and high corrosion resistant version of our standard Raptr's, they are revolutionary fixings designed specifically for fast fixing direct to concrete, brick, block and general masonry without any plugs or sleeves and with no expansion. 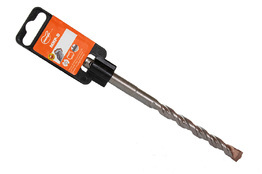 They are easily and rapidly installed by just drilling a 6mm hole and then driving the anchor in using power screwdrivers and impact driver. 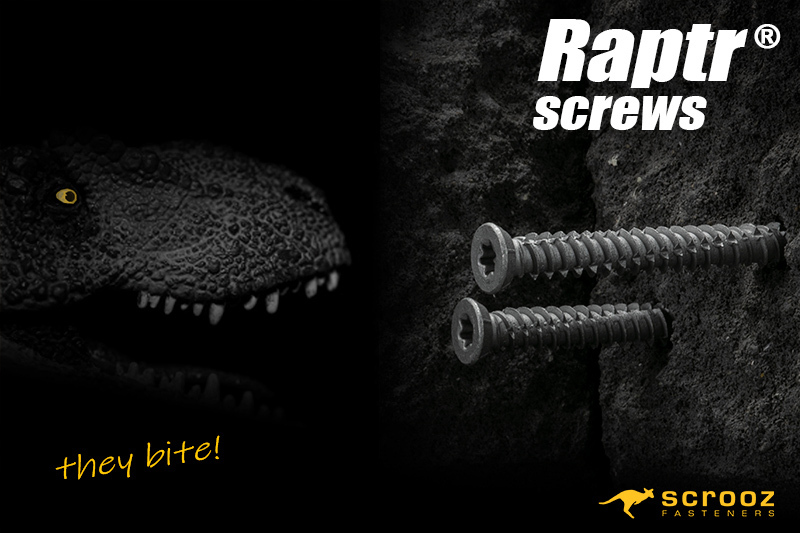 Lengths range from 50 to 150mm and all Raptr's are 7.5mm diameter with a Torx 30 drive, 1 free bit supplied in every pack/box. 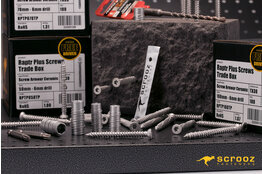 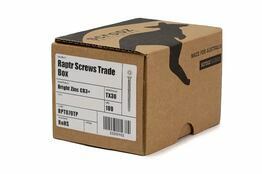 Raptr's can also be used in timber as a woodscrew fixing or screw. 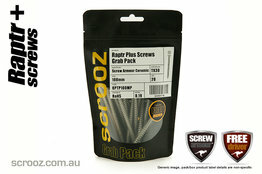 ScrewArmour is a multi layered high performance surface coating developed for optimum performance in the various pollutive and atmospheric conditions that cause corrosion, it's also incredibly hard and is perfect for thread cutting fasteners as normal galvanising simply peels or wears off during installation as the threads bite into the abrasive masonry. 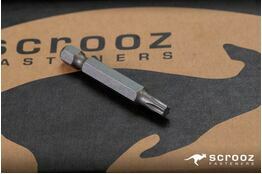 It's also completely resistant to acid and alkaline attack as well as galvanic corrosion, this means you can safely use them anywhere with any timber (treated or not) and any other metal or surface coated product with no cross contamination corrosion issues. Raptr's are the latest step forward in plugless technology, they are designed and manufactured using our unique self cutting rifled threadform profile which cuts its own thread into the masonry and concrete when you drive them in, removal is no problem either, just unscrew them. 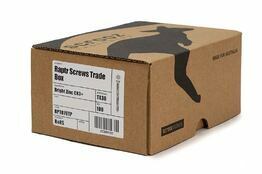 They're strong too, with a working load of 120kg and max load of 360kg. 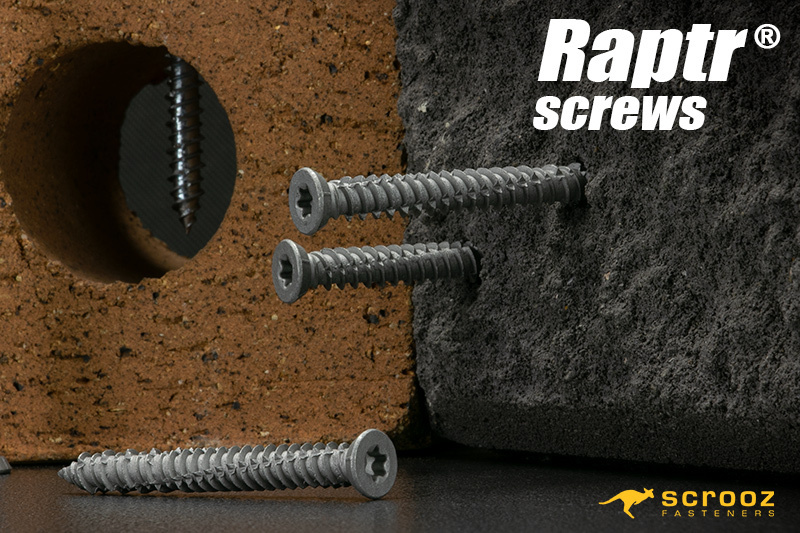 Normal expansion plugs only grip at the expanded end but Raptr's grip over their full circumference and their full length giving a large contact area in the masonry and providing a simple, high strength fireproof fixing, with just a small drillhole. 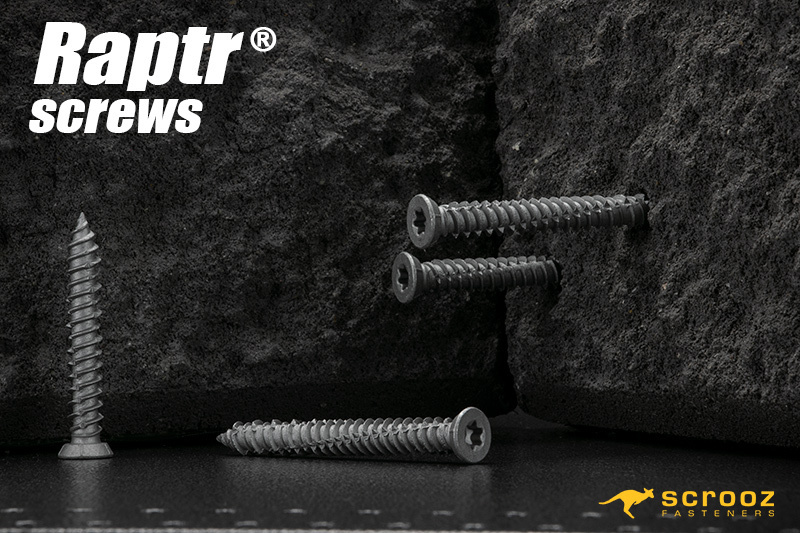 As they're driven in, Raptr's bite firmly into the masonry for a strong solid fix, and best of all, they don't expand or stress the base material so you can fix them close to edges and corners or in slender materials avoiding cracking and spalling. 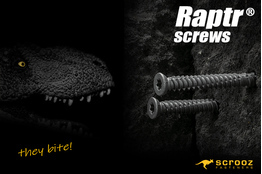 Watch the movie to see them in action. 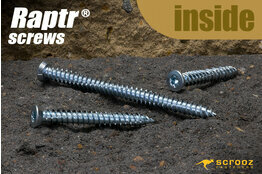 These self tapping hardened steel anchors can be used in concrete, masonry, stone and even rock. 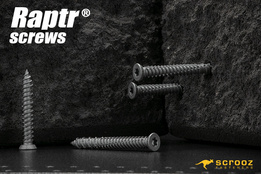 Raptr's are ideally suited for fixing of structural frames and partitions to concrete where fixing is often at the edge of the slab, risking stress cracking with expansion fixings like dynabolts or throughbolts. 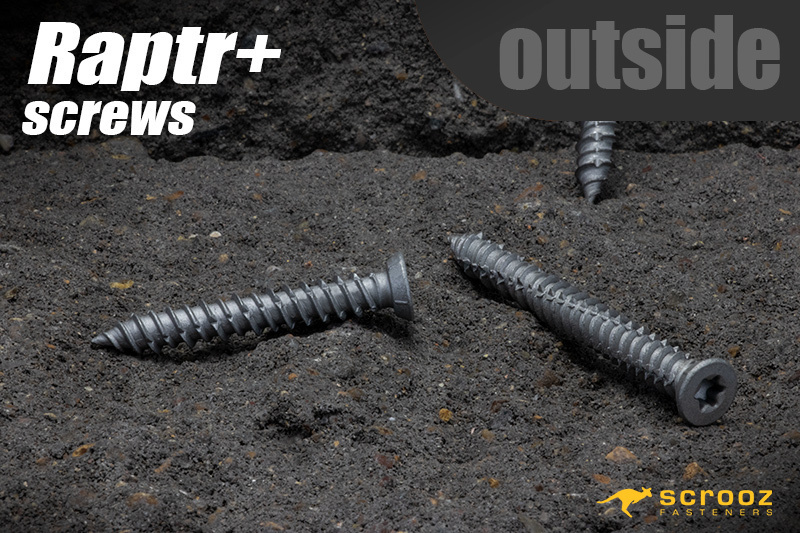 They're a more cost effective replacement and twice as fast to install than the more traditional expansion type anchor fixings and are also perfect for hollow concrete bricks and blocks where traditional fixings won't hold.